Jaipur, April 3: They are supposed to have one of the best batting units in the competition, but Royal Challengers Bangalore once again failed to put up a good show as they lost to Rajasthan Royals by seven wickets. 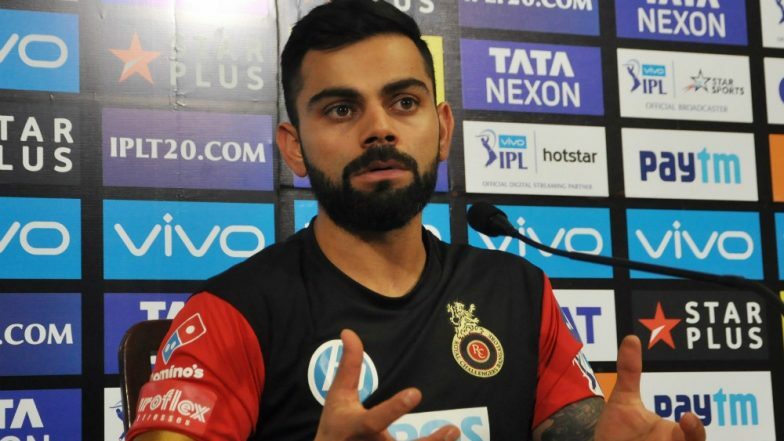 While the win put RR's campaign on track after they lost the first three games, RCB are yet to win a game and skipper Virat Kohli feels that the team needs to put up a better show going forward. "We were 15-20 runs short. Marcus (Stoinis) and Moeen (Ali) got us to a competitive score. With the dew factor, 15 runs more would have been more challenging. It wasn't easy to score in the end as the wicket became slower. We made a lot of mistakes in the match (dropped catches)," he pointed. RR beat RCB by 7 wickets | Royal Challengers Bangalore vs Rajasthan Royals Live Cricket Score 14th T20 Match. Kohli said that while they were yet to register a win after 4 games, 10 games were still left for the team to come back strongly. He also pointed that a couple of games could have easily gone RCB's way in this season.